The Ninja Coffee Bar shown was gifted c/o Ninja . As always all thoughts and opinions are 100% my own. 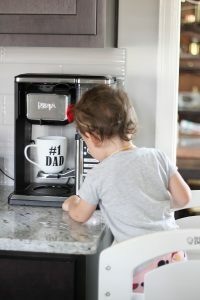 Father’s Day is literally around the corner! Izzy and I decided a caffeinated Daddy is a happy Daddy. System. Izzy loves helping make some coffee for daddy. 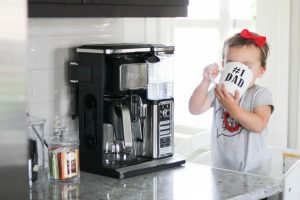 Disclosure for the mom police: Izzy does not and did not drink coffee in these photos. 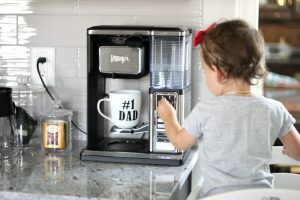 Why is the Ninja Coffee Bar, the coffee machine to get? 5. It comes with a 20 recipe inspiration guide! 9. Best of all it’s easy to use! 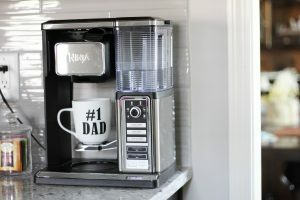 So give that #1 dad exactly what he wants and will use daily! So awesome! I’m sure your hubby will love it! I just know you’re going to win best father’s day gift giver!!! Also, “mom police” cracked me up lmao! That coffee bar is so dreamy! I can attest to the Ninja greatness! We love ours!! 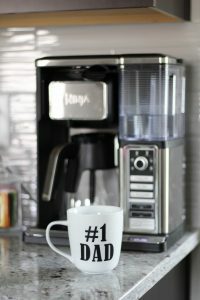 I’m obsessed with our Ninja coffee bar and so is my husband! Your husband will love this gift for sure! We have this machine and it’s awesome! I use it every single day!